SELECT TOYS, GAMES, AND STORIES! Star Wars LEGO sets that are on display at Toy Fair 2018, including a look at the new Millennium Falcon from Solo: A Star Wars Story! Hasbro, "a one-stop shop for entertainment".... With shares moving higher after earnings, Jim Cramer spoke to the CEO to see if it's still 'game on' for the company. Is Take-Two getting ready to break out into the big league? March Staff Picks: From Building Kits to Stem-skill Building Games, These New Toys Caught Our Eyes. Top Toy Trends of 2016 Announced by TIA: These are the year's hottest trends in toys and play, according to the TIA. Is Electronic Arts wedded to the video game dinosaur – the consoles? : EA's reluctance to switch to digital could be hurting sales. Retail Management Tips: 15 Ways to Increase Profit Margins: These 15 easy tasks will help you boost sales. Toy Fair 2016 - New Toy Videos: See what's new at Toy Fair with TDmonthly's own videos! Toy Fair 2016 - New Toys Report: These are just some of the products we've seen at the 2016 Toy Fair that could take off as hits in the coming year. 1/20/2016 Global Toy Sales Jump by Almost 7 Percent in 2015 Based on NPD's Retail Tracking Service, January-December 2015 U.S. toy sales grew by 6.7 percent, generating $19.4 billion and marking one of the strongest performances the industry has seen in a number of years. Properties such as Star Wars, Minions, Paw Patrol, and Minecraft, as well as tech-enabled toys with more innovative features, and those with more authentic and traditional play value converged to create a robust holiday season. Top-10 Most-Wanted Games: These fun and engaging games are best-sellers for a reason. Top-10 Most-Wanted Wooden Toys: Go back to basics with these high-quality wooden toys. Toys to Talk About: Wheeled Toys: These construction toys will keep kids busy - and happy. Toys to Talk About: Plush: Dolls are a classic for a reason. Check out some of the latest additions to the category. Notable and New Toys by Category: See all the new toys we've uploaded in the last month to make your ordering easier. Notable and New Toys by Category — Specialty: See all the new specialty toys we've uploaded in the last month to make your ordering easier. Smart glove sensors understand hand and finger gestures, which connects through Bluetooth to enable interactions with small toy robots, a four-wheeled vehicle type robot. LUMI combines drone gaming along easy flying an indoor quadcopter. LUMI can fly itself while you play, direct and command it using the app-based gameplay. With any smart device, you can select motions, maneuvers, stunts, or just take control and fly. Various game modes include challenging the player to follow sequences of flashing lights and music while LUMI flies and dances in the air, reacting to your performance! R.E.V. vehicles know where they are in relation to each other. BeaconSense Technology enables R.E.V.s to track each other from up to 5 meters away. When controlled by its Artificial Intelligence (A.I. ), R.E.V. thinks for itself, driving and fighting to win. It tracks the status and location of other R.E.V. vehicles in real time, so its Artificial Intelligence continuously adjusts its tactics. When damaged, it’ll flee until it can heal. When you’re damaged, it’ll zero in for the kill. The Pocket Drone is a collapsing video drone that is lightweight and can fit into your pocket. The size of an iPhone 6, this first generation features collapsible blades that can be tucked inside the unit for transport, along with a carry case and remote. Smartband technology enables CHiP to recognize you, follow you, wait for you to come home, and remind you for mealtime or playtime. Artificial intelligence and an adaptive personality to follow commands, fetch a ball, avoid obstacles, and learn new tricks. CHiP is equipped with an advanced locomotion system that allows for high speed, omnidirectional motion and extreme agility. Unlimited downloadable content through the app. Communicates in growls, whines, and barks. Control Air Hogs using a smart device. Whether you fly the Havoc Heli, fire missiles with the Sharpshooter, or transport cargo with the Fly Crane, the Air Hogs Link gives your Android or iOS device the power of a remote control. BB-8 has an adaptive personality that changes as you play. Based on your interactions, BB-8 will show a range of expressions. - small, plastic caterpillar will teach kids the simplest form of computer programming. - every part of the caterpillar is a command that makes the caterpillar accomplish a basic task such as move or play music. - segments can be assembled as the child decides. Then the caterpillar will move in differrent directions. - launch: June 2016, Target: 3- to 5-year-old. Needs 4 AA batteries, MSRP: $49.99 Expansion packs, which cost $15 each, allows for extra features, such as turning it 180 degrees, and making different sounds or lights. - pet it and it will reacts with sound. - included: target discs, which allows kids starting and ending points for their coding. - sold out of initial 4,000 units. - Meccabrain now has double the memory, more robot intelligence, faster voice recognition, and additional programming capability. Your minifigure head on Lego parts by Funky3dfaces- an idea that was borne out of the parent company ELAT3D Ltd who make 3D printed bones for the medical industry and architectural models for architects and surveyors. You select your figure and hairstyle/color then upload your photos. Production time 2-4 weeks. Software has been designed to recreate the human face digitally using complex algorithms. The software does not recognize animal features so no 3D pets, yet. They are 3D printed in a sandstone material. Not waterproof--not for sucking nor bathtime! February Staff Picks: Start refilling your shelves post-Holidays with our favorite toys of the month. Why And How To Do An Employee Review: Employee reviews are one of the most neglected tools a retailer can use to alter their fate. Activision is undergoing fundamental change – and none too soon! : Whatever the reasons for the decline in Activision’s main products are, there is no question that there is a decline. Why Mattel's new Barbies are good for girls: This famous dollmaker is finally catching up to reality. Top-10 Most-Wanted Arts & Crafts Toys: These best-selling arts and crafts toys will stimulate kids imagination and creativity. Top-10 Most-Wanted Science and Nature Toys: These toys make quick work of introducing kids to the skills necessary for building a strong science foundation. Toy Fair flashback: Vin Diesel sells Street Sharks at the 1994 NYTF: This hilarious flashback shows that you never know who or what you might see at Toy Fair. Toys to Talk About: Construction: These construction toys will keep kids busy - and happy. Toys to Talk About: Dolls: Dolls are a classic for a reason. Check out some of the latest additions to the category. January Staff Picks: Start refilling your shelves post-Holidays with our favorite toys of the month. Brick and Mortar Retail Stores' Best Asset Is Alive And Well: We're nowhere near the end of brick and mortar retail. GameStop – can they build a bridge before they hit the abyss? : GameStop is veering down a dangerous path, but they still have time. Why We Go To Toy Fair - Or Stay Home: Thinking about heading to Toy Fair for the first time? These retailers share the pros and cons. Top-10 Most-Wanted STEM Toys: These STEM toys are fun best-sellers. Top-10 Most-Wanted Play Sets: Keep kids busy for hours with these play sets, which are also best-sellers. 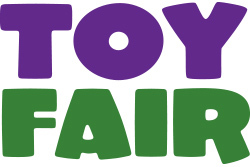 Preparing For Toy Fair - Tips and Tricks for Retailers: Everything you need to know about navigating Toy Fair. Preparing For Toy Fair - Tips and Tricks for Manufacturers: Everything you need to know before presenting your products at Toy Fair. 6 Tips for Finding Hot New Toys: It time to start hunting for the best toys of 2016 - here's how. Toys to Talk About - Cuddly Plush: These cuddly plush toys might deserve a place in your store. Toys to Talk About - Sports: Get kids active with these sporting goods and outdoor toys. December Staff Picks: Check out these products, including a few old favorites and some new toys on the market. Want to know how to close a retail sale? Take your time. : Focus on the customer, not on closing quickly. Our Top Ten Toys of 2015: TDmonthly Magazine is excited to announce our Top 10 Toys of 2015. Holiday Gift Guide: Get excited for the holidays with these top-notch specialty toy gifts. Top-10 Most-Wanted Toys: Just in time for the holidays, we asked retailers about their best-selling toys. Top-10 Most-Wanted Educational Toys: These educational toys help kids have fun while learning. Top-10 Most-Wanted Construction Toys: Construction toys aren't just fun - they help kids develop spatial reasoning and motor skills, too. Toys to Talk About - Developmental Toys: Take a closer look at these engaging developmental toys. Toys to Talk About - Preschool: See if any of these preschool toys are right for your store. Toys to Talk About - Infant: These unique infant and toddler toys could be just what your customers are looking for. Toys to Talk About - Tween: These tween toys will help keep older kids interested in your store. Barnes & Noble – will they learn the Sears lesson? : Barnes & Noble is struggling - can they make it? The Role of IP When Growing Your Business by Going Overseas: Protecting your intellectual property is even more important when doing business abroad. How to Bring a STEM Toy to Market: Q & A with iQube's Joshua de la Llana. November Staff Picks: This month's staff picks features a variety of high-quality toys, from scientific superstars to fluffy plush puppets..
Should You Decorate Your Retail Store For The Holidays? If So, How? : Bob Phibbs shares his tips on how to decorate your store for the holidays. Top-10 Most-Wanted Jewelry and Accessories: Find out which jewelry for kids is selling well. Top-10 Most-Wanted Tween Toys: These best-selling tween toys will keep older kids interested in your store. Top-10 Most-Wanted Preschool Toys: According to specialty retailers interviewed by TDmonthly, these are the top-10 most-wanted preschool toys. Toys to Talk About - Arts and Crafts: These inspiring arts & crafts toys will get kids to be creative. Toys to Talk About - Board Games: Board games are always a safe bet, for kids to play with their friends and siblings - or for the whole family to enjoy! Toys to Talk About - Dolls: These cute dolls are worth a second look. Toys to Talk About - General Toys: These cool new toys may deserve a spot in your store - take a look. Hello Kitty – a cat on life support? : Sanrio has a worlwide fan base, but can they maintain their success?. 4 Common Patenting Mistakes and How to Avoid Them: Find out why attention to detail can make or break your patent claim. October Staff Picks: This month's staff picks features a variety of high-quality toys, from scientific superstars to fluffy plush puppets..
Toys to Talk About - STEM: Take an extra look at these STEM toys. Toys to Talk About - Games: See if any of these games would be a good fit for your store. Toys to Talk About - Science & Nature Toys: These cool science and nature toys deserve a second look. Toys to Talk About - Creative Activities: Inspire creativity in your customers with these creative activity toys. Toys to Talk About - Educational: These educational toys prove that learning can be fun. Toys to Talk About - Costumes & Accessories: It may be October, but these costumes are great for dress-up any time of year. Do You Recognize These 6 Early Warning Signs Of Losing A Retail Sale? : A lot has been written on closing a sale, but what if you could see the warning signs you were going to crash and burn. Top-10 Most-Wanted Card Games: Keep these best-selling card games on your store shelves to see consistent sales. Top-10 Most-Wanted Science and Nature Toys: These toys are the perfect way to keep kids engaged in the learning process. Top-10 Most-Wanted Novelty Toys: Check out these best-selling novelty toys and see which would be a good fit for your store. Is ToysRUs getting ready for an IPO? 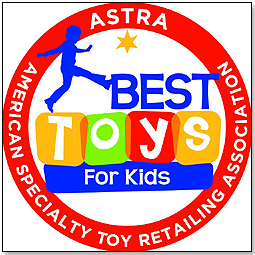 : Gurus and experts – there is talk about how the toy space is changing. Building A Family of Monsters: Learn how one family worked together to bring their toy to market. Copyright © 2019 TDmonthly®, a division of TOYDIRECTORY.com®, Inc.